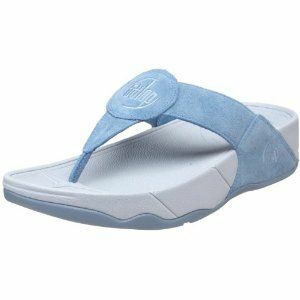 FitFlop sandals are the healthiest footwear in the world. 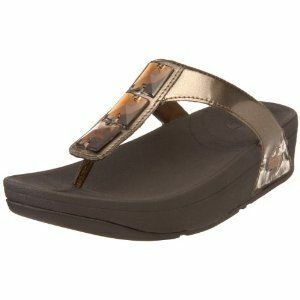 There are so many benefits that can be earned from wearing FitFlop. The sandals can improve your posture, your muscle tone, increase leg, calf, gluteal muscle activity, and stimulate aspects of barefoot walking but with more muscle load. 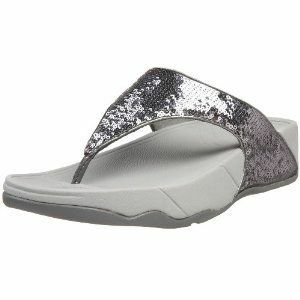 FitFlop sandals wearers have also reported relief from plantar fasciitis, heel spurs, chronic back pain, sciatica, osteoarthritis, RLS (restless leg syndrome), scoliosis and degenerative disc disease. Patent leather, Rubber sole, Heel measures approximately 1 ½, Platform measures approximately 1"